Illegal immigrants who fly, drive or walk into the United States before July 1 will be shielded from deportation if Congress approves an amnesty amendment now supported by eight GOP Senators. “Every last one should be laughed out of the Senate for proposing an amnesty for illegal immigrants who have not yet arrived,” said a source. The promised sanctuary for future illegal immigrants is buried at the end of the 64-page “Immigration Security and Opportunity Act,” which is now scheduled for a floor vote on Thursday, February 17. The amendment was supported by Minority Leader Sen. Chuck Schumer and is the Democrats’ amnesty bill in the Senate this week. It is called the Rounds-King amendment because it is sponsored by GOP Sen. Mike Rounds and Democratic-leaning Sen. Angus King from Maine. (ii) arrived in the United States after June 30, 2018. 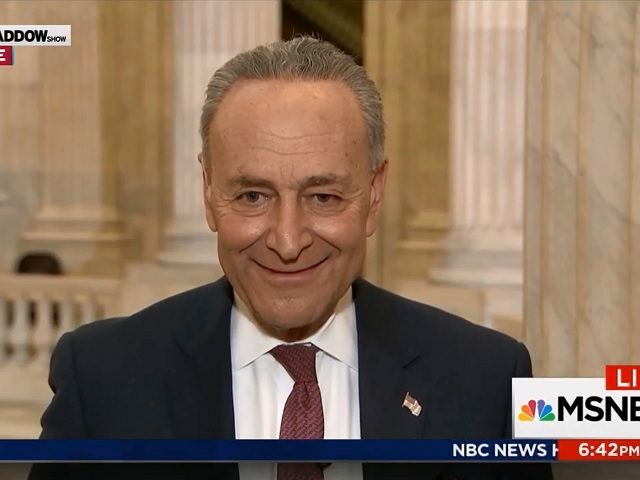 Schumer’s legalese would be used by business lobbyists, mid-level agency officials and by immigration courts to choke the enforcement of immigration law against the 12 million illegal immigrants who have arrived in the United States before February 15, 2018, but also against the migrants who rush into the United States by June 30 or before July 1. The result could be the effective end of immigration enforcement, and a resulting drop in Americans’ wages as the inflow of cheap-labor migrants bids down white-collar and blue-collar wages. Georgia Sen. David Perdue slammed the Schumer bill and touted the rival bill by Sen. Chuck Grassleywhichhc he supports. There’s still ONLY ONE immigration proposal to be voted on that fully secures our borders, codifies Kate’s Law, and adequately equips our border patrol agents. 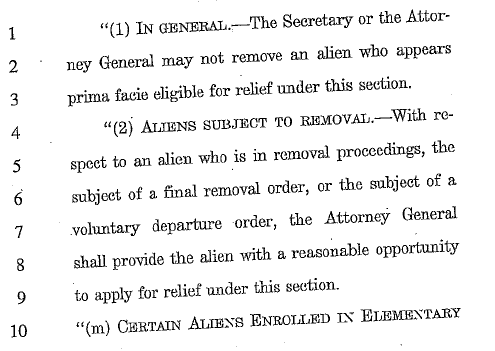 The Grassley proposal is BACKED by DHS, not torn apart by DHS like the Schumer plan. However, the June 30 date may have been inserted to distract attention from the bill’s other features, which include an amnesty for an unlimited number of illegals, loose identification rules which make identity fraud easier, plus provisions which would allow the illegals to get citizenship for millions of their own foreign siblings and parents. About 13% of the world’s adults — or about 630 million people — say they would like to leave their country and move somewhere else permanently. For roughly 138 million people, that somewhere else would be the U.S. — the No. 1 desired destination for potential migrants. The would-be migrants include 13 million Chinese and 10 million Nigerians, Gallup reported. The Democratic Republic of the Congo (Kinshasa) posts the highest negative PNMI, with a net migration index value of -60%, which means its adult population would decrease from an estimated 32 million to as low as 13 million. 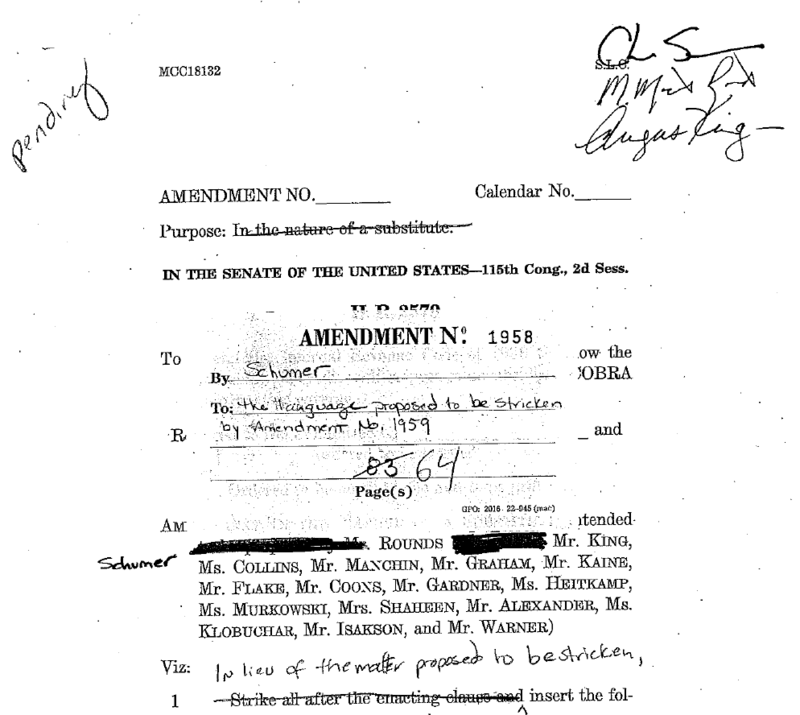 The amendment is another effort by Schumer to remake the nation’s immigration law. In 2013, he led the “Gang of Eight” amnesty push which was approved by the Senate but was eventually blocked by public opinion in the House. Schumer’s disastrous push, however, helped the GOP win nine seats in 2014 and helped real-estate developer Donald Trump win the GOP nomination and the presidency in 2016. The Republicans who signed their name to Schumer’s sanctuary amendment include Schumer allies, Sen. Lindsey Graham and Sen. Jeff Flake. But the amendment is also signed by Maine Sen. Susan Collins, South Dakota Sen. Mike Rounds, Alaska Sen. Lisa Murkowski, Tennesee Sen. Lamar Alexander, Georgia Sen. Johnny Isakson, plus Colorado Sen. Cory Gardner, who is actually the chairman of the GOP Senators’ 2018 election campaign. Sen. John McCain likely will support the bill, bringing total possible support to 58 votes, only two votes short of the 60-vote threshold. Most of the GOP Senators who signed the invite to foreign migrants are influenced by their local Chamber of Commerce, whose members are eager to welcome imported workers and imported customers who drive down local salaries and drive up local sales. However, those new residents also impose great costs on local residents, including school expenses and police costs, plus the civic damage caused by diversity to the local society. The three red-state Democrats on the list, Minnesota’s Sen. Amy Klobuchar, North Dakota’s Heidi Heitkamp, and West Virginia’s Sen. Joe Manchin may not know about the June 30 invite for illegals. However, their pro-amnesty signatures on the bill provide ammunition to the GOP candidates who will challenge them this November. The amendment does authorize a $25 billion fund for a border wall but excludes the reforms sought by President Donald Trump that would close the legal loopholes now used by Central American migrants to walk through existing border fences. Also, the amendment does not end the visa-lottery annual inflow of 50,000 migrants. It sets only minor changes to the chain-migration inflow of immigrants’ extended families and clans, many of whom lack skills needed to get a well-paying job in the United States. The bill also says there shall be no upper limit on the number of people who get an amnesty, and it bars the deportation of illegals who appear eligible for the amnesty, or the hundreds of thousands of illegals who have violated court orders to exit the United States. 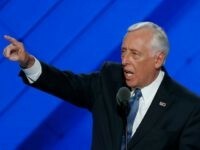 Schumer’s June 30 language is similar to the probationary “Z Visas” language which was included in the failed 2007 amnesty bill pushed by Sen. John McCain and Sen. Ted Kennedy. That language said that federal officials had to provide work-permits and residency cards to all migrants for three months after the enactment of the law — unless officials were able to legally prove the application was fraudulent within 24 hours after the application was submitted. Many polls show that Trump’s 2016 immigration policies are very popular in the polling booth. Immigration polls which ask people to pick a priority or to decide which options are fair show that voters in the polling booth put a high priority on helping their families and fellow nationals get decent jobs in a high-tech, high-immigration, low-wage economy. Those results are very different from the “Nation of Immigrants” polls which are funded by CEOs and progressives, and which pressure Americans to say they welcome migrants.